From the #1 internationally bestselling author, her first book set in America, the story of a mother and daughter searching for love and happiness, unaware of the secrets that bind them. To find what they are longing for they must confront the past, and unravel the lies told long ago. 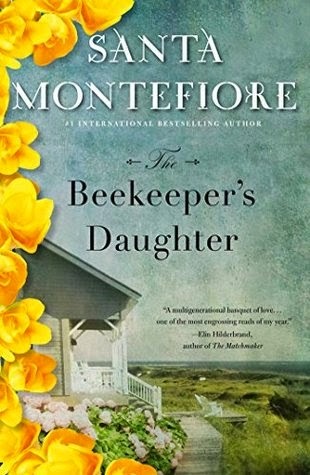 Set on a fictional island off the coast of Massachusetts with charming architecture, beautiful landscape, and quirky islanders, The Beekeeper’s Daughter is “a multigenerational banquet of love…one of the most engrossing reads of my year” (Elin Hilderbrand). Santa Montefiore had me at Secrets of the Lighthouse, that was an audio read for me and I loved it. anticipation level wasn't too high. and the advent of WW II shows how these two story lines connect. my imigination took me over to prewar England, to the bee hives and gardens. Written with words that drew me in and kept my attention right to the end. Fans of Lucinda Riley and JoJo Moyes will enjoy this also. What a beautiful cover! Sounds like a good story, too!